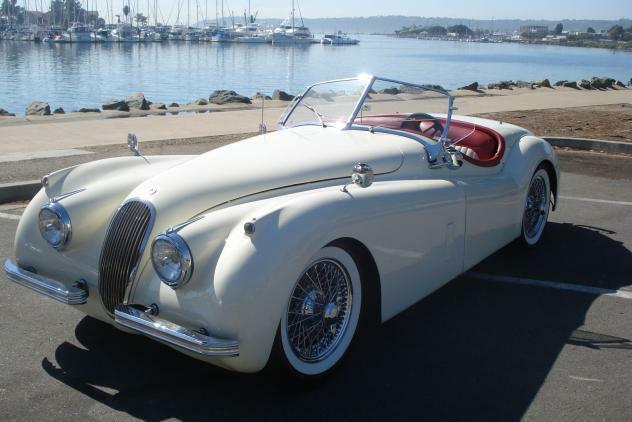 1954 JAGUAR XK 120, One of Great Britain & true classics, Jaguar XK120 Roadster. 87,000 ORIGINAL, DOCUMENTED MILES, 4 ORIGINAL OWNERS. Rebuilt engine done sometime in 2002-2003 with 2,500 miles since. New Clutch, Newer Tires and Chrome Wire Wheels, brakes and interior redone, Comes with Original parts including the ORIGINAL Steering Wheel and Spare Tire. Previous owner added Jaguar Racing style Steering Wheel and a Carbon fiber gauge cover. Records on restoration and service going back to 1985, Original manual, XK120 Workshop binder, 2 bill&apos;s of sale stating the mileage at that time. 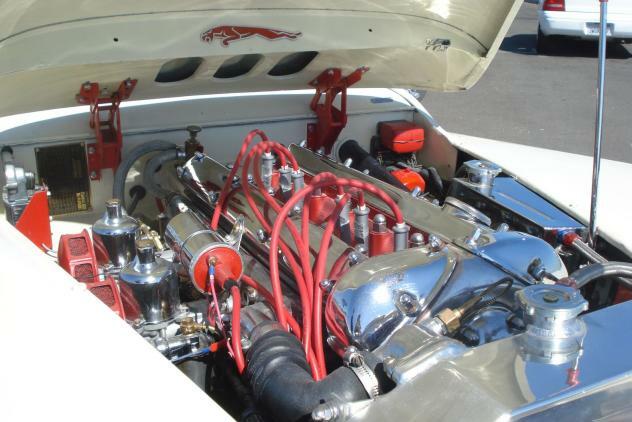 This car was also verified by Classic Car Heritage certifying the date of manufacture, date of despatch, Chassis number, Engine number, Body number, Gearbox number, Original Paint, Trim and Convertible top color (the previous owner added the two tone cream and red, this can easily be put back to full red leather). 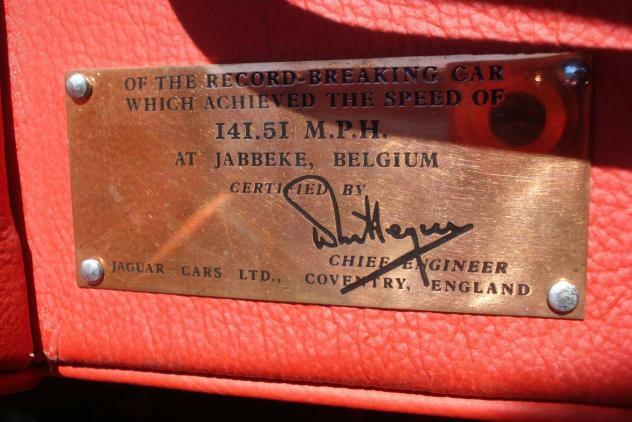 Car was recently appraised by an Experienced Jaguar specialist. He concluded that this was the Best XK120 he has ever driven! Excellent Mechanicals, impeccable driving performance. 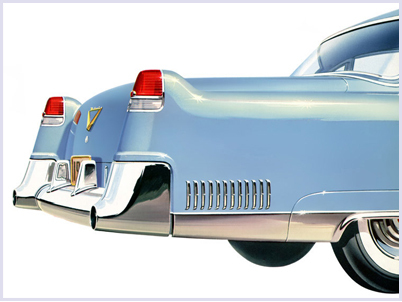 We have tons of extra images including the undercarriage so inquire for more pictures. We are currently taking offers on this car, SERIOUS BIDDERS ONLY.